Last week we brought you our class ideas for our monthly theme. Lauren does a great job as Artistic Director of our sister company by keeping class ideas fresh and engaging. This week I wanted to share with you the other side of our monthly theme, and that is our community involvement. One thing that sets us apart is our commitment to our community. We’ve been blessed with so much, and therefore, find it’s crucial to give back. I owned a previous business prior to starting Studio Go (our sister company that operates in Atlanta, Athens, Charleston, Charlotte, and Chattanooga here in the U.S) three years ago. When I was starting out, I knew one thing that was important to me moving forward was community service. I wanted to use Studio Go as a vehicle to make a difference outside of the classroom. Once Lauren came back on board (we taught together years ago) as Artistic Director. She and I sat down and hashed out ideas for our curriculum. One thing I really wanted to incorporate was character development. Lauren loved the idea, ran with it, and the rest is history. I remember exactly where we were when we first wrote down what each month was going to be. February is a personal favorite of mine, because it is all about compassion and friendship. This is so important for these little dancers to learn. It’s also the month where we physically get out in the community and give back. This year we are so excited to partner with Children’s Healthcare of Atlanta and a local retirement community. Our teachers will provide a mini lesson and do crafts with the children who are hospitalized at CHOA, and some of our preschool dancers will put on a performance for all of the residents at a local retirement community. Both of these events are so successful and bring joy to both groups. More so, I think they bring joy to us. It is so eye-opening to see a child who is fighting for their life find the simple joy in movement and a fun craft. It puts things into perspective. Suddenly, your bad day seems not so bad at all. The residents at our retirement community adore seeing the little ones. It’s a bright spot in their week. After all, what is cuter than a 3 year-old in a tutu? These are just a few examples. The list goes on. It doesn’t have to be grand. Remember that even the smallest acts teach children to be kind. I hope you find an example to carry on in your studio. Imagine if every studio had community efforts, the world really would be a better place. Do you currently implement community events within your studio? If so, what are they? This month, students in our sister company’s dance classes are learning all about love; however, we are presenting the idea in a unique package. Our big concept these next few weeks is compassion. Some might think this is a lofty word to explain to a preschooler, but we think it is THE word that needs to be covered with the tiniest of humans. Accepting, encouraging, loving and appreciating differences and diversity is exactly what I am covering with my 3-year-olds, all the way up to my big kids. Valentine’s Day is not just about romantic love after-all. It is also about friendship and loving our fellow humankind. 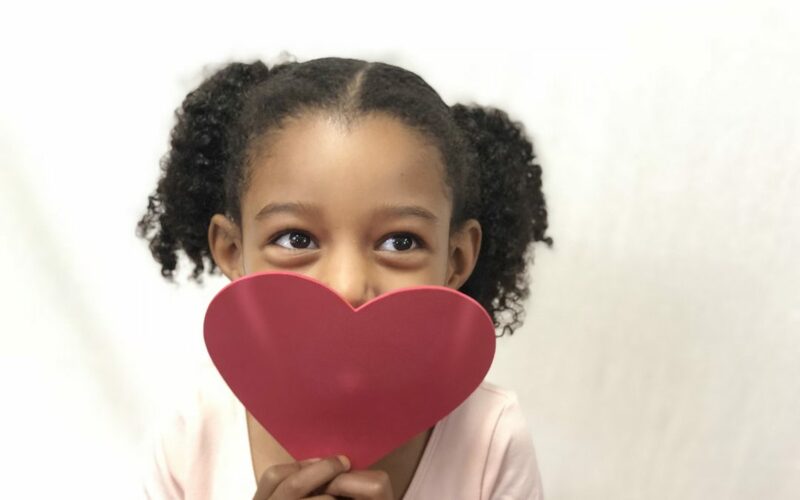 To get your creative juices flowing, here are a few ways to implement this concept into your Valentine’s preschool dance classes. Make sure your kids LOVE your playlist! There are so many children’s books available that discuss compassion in an easily digestible format for little ones, but below is a short list of a few that pertain to dance class specifically! 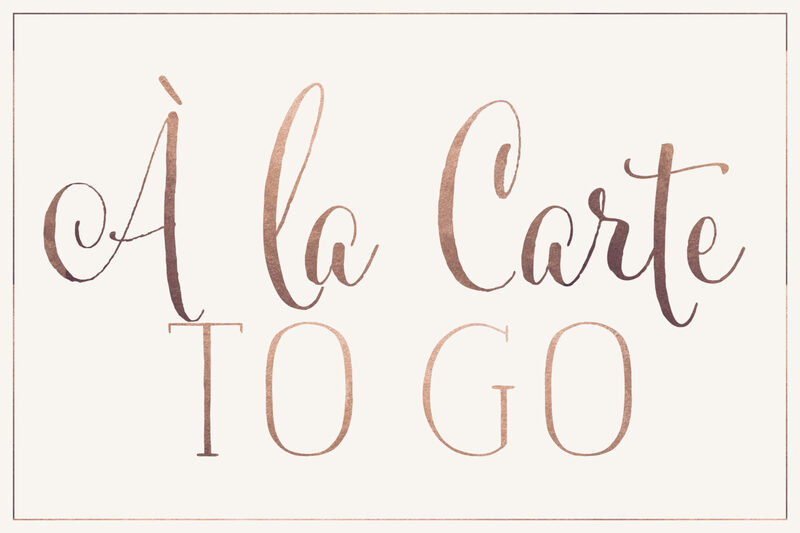 *I have provided easy links so that you “grab and go.” Can you tell that we at Studio To Go are Amazon junkies? Having a Prime membership is one of our best suggestions for keeping your preschool classes engaging. If you imagine a prop idea or classroom tool, it is more than likely available on Amazon. With just a couple of swipes, these items can be at your studio before next week’s classes begin. Hop to it, guys! “A Dance of Friendship” by Katharine Holabird, “Angelina Loves” by Katharine Holabird, and “Valentine the Porcupine Dances Funny” by Derrick Brown. Props, props and more props. Having tricks up your sleeve that wow and mystify preschoolers is a fabulous way to keep class exciting! There are a ton of ways to incorporate the below items into dance. The easiest are: performing ballet leaps over one of them, creating a character dance where each child has their own, using two of any of the below items to indicate where across the floor starts and stops in the room, encouraging good behavior by allowing each child to take turns holding the special item during various parts of class if they’re following directions, etc. Artificial Roses *Just be sure to snip off the fake plastic thorns before use! Friend Bear Carebear *Bonus! This comes with a Friend Bear doll and a DVD. While we haven’t personally viewed the movie that comes with it, screen it before class. You never know! You may be able to find a quick clip to play as a release moment in class. Have you checked out the Marketing Materials portion of our shop yet? We have fabulous color sheets for ballet, tap and hip hop (as well as a ballet sticker) that would be precious take-home treats for good behavior in dance class. 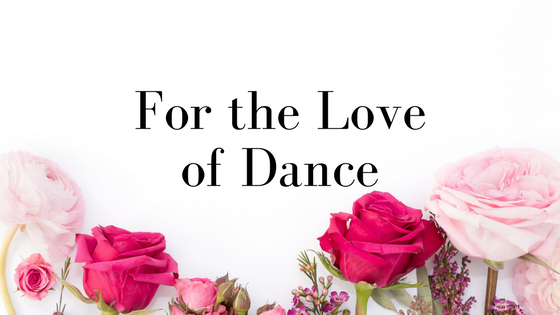 See links to our February “For the Love of Dance” options below. Each purchase is a $5 download from our website, and you’ll have rights to reprint them for years to come in your studio! This year, we are trying out a brand-new activity in a few of our February classes. One of our dance education colleagues online had a fabulous idea for her older students in dance, and it sparked this particular idea of ours for younger classes. Our goal is to have each dancer take home a card on which his or her dance friends’ have shared their positive thoughts pertaining to him or her. We are encouraging our babies to learn how to give compliments, encouragement and love to others! We are printing out a simple template (made on canva.com) that basically says “For the Love of Dance” at the top, the child’s name in the middle, and “Learning about Compassion” at the bottom. Printed on card-stock, hopefully they will be durable enough to make it home in our preschoolers’ dance bags! 😉 We have purchased small foam heart shapes with sticky backs. I will ask my students to share their positive thoughts about each of their friends so that I can quickly jot them down with a permanent marker on a previously-mentioned sticky heart. The child will easily be able to press their heart onto their friend’s card. 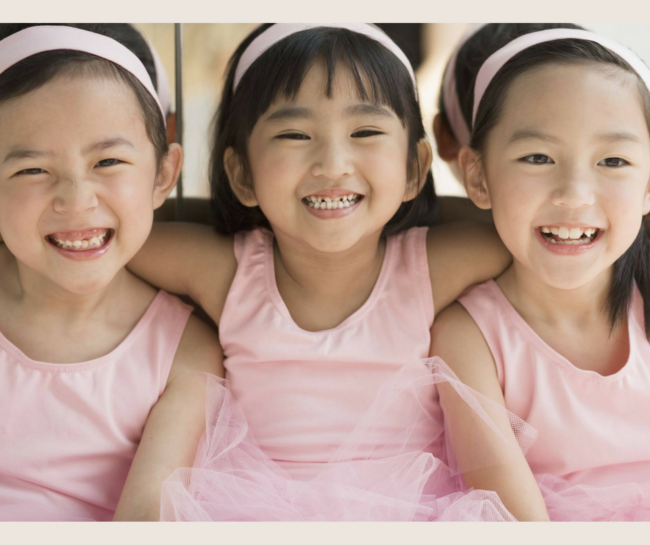 In a class of 6 dancers, each child goes home with 5 compliments. I’m going to try to emphasize choices concerning character and dancing, rather than physical attributes. For instance: “sweet” vs “pretty.” It should be a fun and uplifting activity! This one is simple! Print out a few Valentine’s motifs (like roses, arrows, cherubs, kissy lips, etc.) 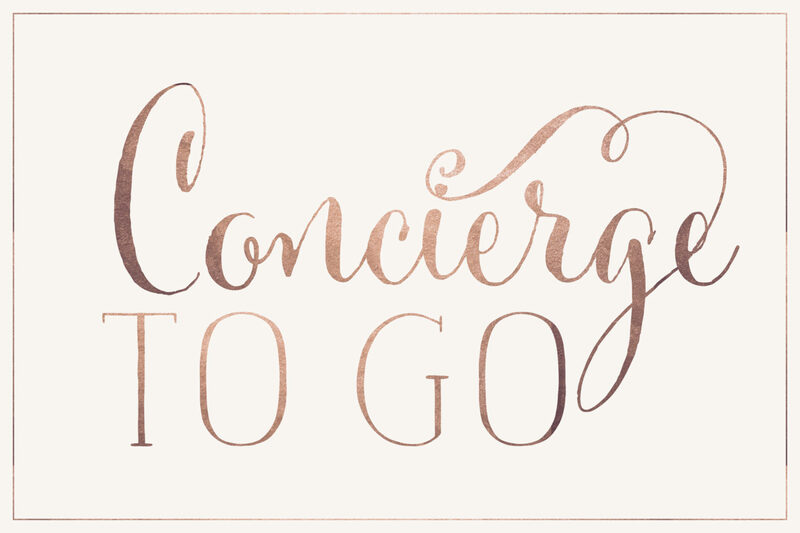 on card-stock. It is totally ok to have a few duplicates of each. If you are a fellow laminating-nutcase like me, go ahead and seal them up to your nerdy heart’s desire! Scattering them around the room, instruct your students that they will perform various traveling steps (you provide the step each round like bourrée). When the music stops, they must freeze on top of a Valentine’s paper in a shape or step that you give them, like 1st Arabesque. Have them perform another step for vocabulary review or even do something silly, based on what they chose to freeze on! Ex: All of my roses hop on one foot with the other in passé around your paper while shouting, “I love dance!” Or, all of my arrows work on your glissade using lovely first positions! Assign partners for the class. A “cookie” on the back row matches up with the “cupcake” from the front row that is directly in front of him or her. Explain that we are going to practice “sharing” our spots today with our buddies when we change our rows. This helps reinforce kindness in a tangible way for your kiddos. Take it a step further! Buddies can help each other change dance shoes, pack up dance bags, etc. Another idea would be to have them go across the floor together in class. Use this as an opportunity to discuss dancing in-sync with others. Bada bing bada boom! We have covered a formation change, as well as timing and musicality! *Please note: Some of these items are affiliate links.